← Wednesday, August 12, 2015 – LOAD, READY, AIM, FIRE, RELOAD! A&M Give Us Room! With the temperature predicted to reach 102 today, here’s a Christmas photo to remind us cooler temperatures are coming. At the far right, we have Niece#1 playing a joyful tune on the piano. 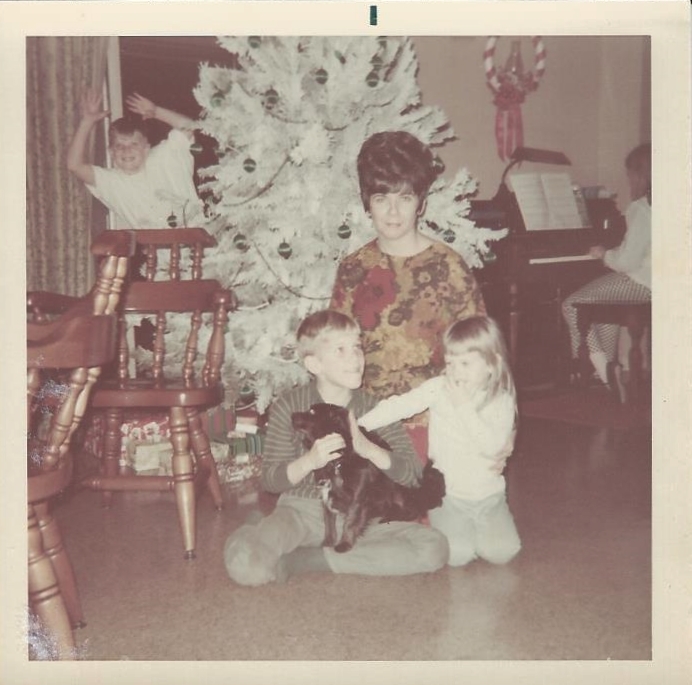 Photobombing long before it was popular and jumping from behind the tree is Nephew#1. Nice camo to blend in with the tree, D.
In front of the tree is my sister, Dale and her country-western singer hair-do of the day. In front of her is Nephew#2 holding Domino the Dog. Next to him is Niece # 2, petting Domino and then inserting her fingers into her mouth. 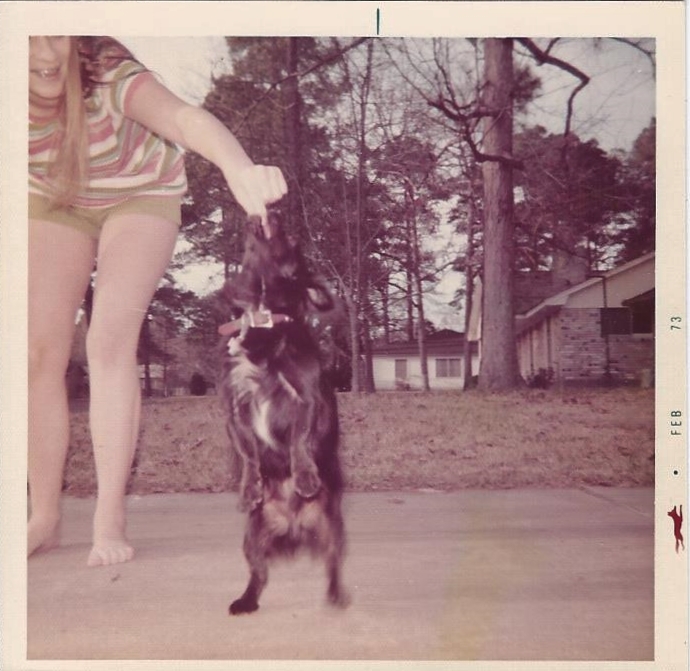 This, I believe is also a photo of Domino the Dog. It maybe our Cousin Itt like the one fromThe Addam’s Family. I believe our Cousin Itt is from the Colfax, Louisiana family tree branch and the shallow end of the gene pool. Stay cool! Blue Bell is on its way! Reblogged this on Here's What I'm Thinking.